Save money on tires with Colonial Court Service Station. 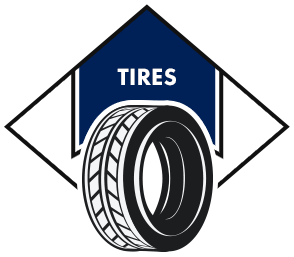 We’ve got tires for whatever you drive, from great brands like Mastercraft, Goodyear , and BFGoodrich®. Colonial Court Service Station is the experienced auto repair shop you trust. We are the oldest business in our county with the original owner. Visit us and experience the difference. We are a full service Exxon service station providing fuel, repairs, towing service and tires. Our 10 full time employees have a combined total of 175 years of experience. Your vehicle will be in great hands here. Visit us at 43 S Randolph Ave in Elkins, WV Monday-Saturdays 8:00 a.m. - 5:00 p.m. and Sundays 9:00 a.m. - 4:00 p.m. We serve all of Elkins, WV, Beverly, WV, and Buckhannon, WV. Auto repairs are our specialty at Colonial Court Service Station. Whether it’s an oil change, state inspection, or towing, we’ve got what it takes to get you back on the road. We even sell a variety of lift kits. Give us a call now at (304) 636-0447 to schedule your appointment.